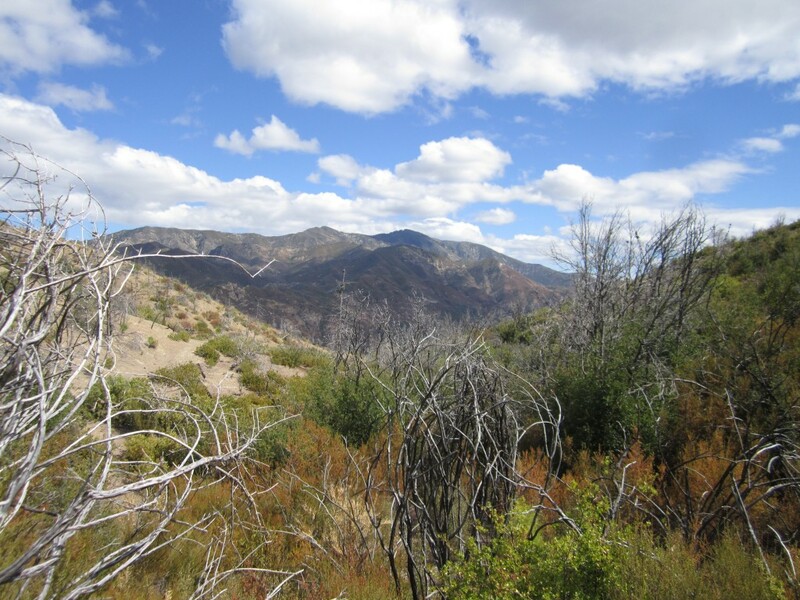 The first ever Recreational Site Inventory (RSI) of the Ventana Wilderness is underway with a great team of people on a mission to visit every backcountry camp of the Ventana and Silver Peak wildernesses and record their condition. An exciting opportunity to explore the vast beauty that is the northern Santa Lucia lays before us and I will be sharing some personal stories and reflections via this blog of my adventures. 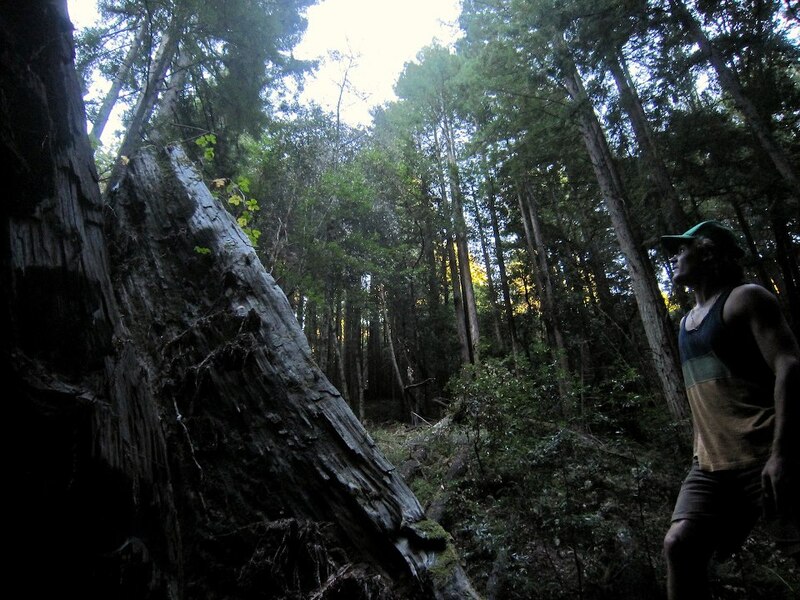 My name is Bryce Winter and I am a 2008 graduate of UC Santa Cruz where I studied nature and culture. It occurred to me sometime toward the end of high school that being in nature made me feel good. I was lucky to find the Sierra Institute while in college where "nature is the classroom" and two month long backpacking stints are the norm. I've been following that special feeling ever since and helping others discover that too. Part of the motivation behind the inventory is the upcoming 50th anniversary of the 1964 Wilderness Act, signed by President Lyndon B. Johnson, that set aside huge tracts of federally owned land to be preserved in their natural state, such as the Ventana. The Wilderness Act is famous for the definition of wilderness it set forth; "A wilderness, in contrast with those areas where man and his own works dominate the landscape, is hereby recognized as an area where the earth and community of life are untrammeled by man, where man himself is a visitor who does not remain." We are fortunate our forebears had the vision to protect some natural areas for the sake of them remaining wild and untouched from the rapid expansion of our industrial society. I find this definition of wilderness a little ironic, however. The word untrammeled means "not limited or restricted, unrestrained." When we clear trail we are altering the landscape, opening it up to make it inviting to walk through and enjoy. I think this is a good thing, and so it seems do all the animals I find trace of as I walk the trails, especially in a region as rugged and vigorous as the Ventana. And further, man does not have to be an intrusive or dominating presence in nature. In fact, as we may learn from such wonderful books as Tending the Wild , humans have been (and still are!) an integral part of the natural ecology-- especially here in California-- where native peoples were active agents of environmental change and stewardship for thousands of years through harvesting, tilling, sowing, pruning and especially burning. Their level of sophistication and knowledge is something to strive for in the deeper realm of stewardship and knowing one's place and speaks to a healthy and mutually beneficial relationship with nature. Perhaps one day we will get there. In our modern world I feel the experience of wilderness is for now a panacea for our cultural dis-ease, and it is there we have the opportunity to reconnect with our humanness, letting our hearts and minds settle and open to the teacher that is nature. So it is that we have places such as the Ventana Wilderness to explore and to learn from, to remember our peace in the great scheme of things. In our first outing this month my partner Sam and I encountered Jack English while surveying the many sites of Pine Valley. He's had a small inholding of land there for the better part of a century and is a sort of holdover from the era of pioneers that manifested their destiny in the American west. His cabin is modest and built with only already downed wood milled right there in the valley using an Alaskan mill. A remote place to live, apparently up until a few years ago he would still make the several mile journey in on foot. He now arrives and exits by helicopter and is staunch in his stance that no access road ever be built. At 92 years alive its a respectable position that will save the natural character of this special little valley he dearly loves. He invited us in for tea and while walking to his cabin pointed out "some of the past," a large boulder with several deep acorn grinding holes in it. People have always been in these mountains, now its just visitors and the likes of Jack English. When asked his secret to longevity, he replied simply, "clean living." There is a bit of romanticism around the cabin in Pine Valley, so much so it’s hard to separate myth from reality. The owner of the cabin in Pine Valley is not a holdover from pioneer days or a homesteader. He is a thoroughly modern guy who flies in and out of his mountain retreat by helicopter. After watching the parcel for years, when the former owner died in the 70’s (who had left the site natural and undeveloped), he bought the property and built the new cabin, pushing the suburbs to the doorstep of a (formerly) Wilderness campsite. Pine Valley is no longer the peaceful Wilderness it was before the coming of helicopter commuting, chainsaws and development. I don’t see how the owner’s presence will “save the natural character of the little valley” etc. Perhaps the owner will consider selling or donating the parcel to the Forest Service so that the site can be restored to its natural condition and added to the Ventana Wilderness, protected forever from development. Check out the Trail Guide to the Los Padre National Forest, Northern Section, Ventana Wilderness and Silver Peak Wilderness. In its seventh edition since 1969, it was last updated in 2003. It is a good template for your work. All camps were surveyed. Even the trails were measured by local members of the Ventana chapter of the Sierra Club, using a measuring wheel and correcting erroneous distances provided by the Forest Service. PS: Check out Manifest Destiny and its effect on the indigenous population of the American West.